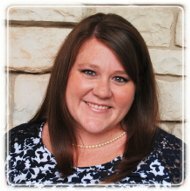 Gurnee Therapist: Kristin Patten - Therapist 60031. Send A Message To Kristin. Why is it so hard to find a good therapist? One you connect with, respect and shares similar values. I get it! It's tough. To help you on your journey, here's a bit about me! I wear many hats. One of them is the hat of a therapist. I also wear the hat of a mother of four, wife of one, singer, quilter, techno geek, shopper, planner, social coordinator, and new Football & Soccer Mom... just to name a few. I have worked with youth professionally for over 15 years as well as adults in different settings. I have parented two children of divorce and have a blended, culturally diverse family. Most parents I meet want the absolute best for their child; but there are just times that even really good parents need support and education. This can come from classes, or marriage retreats, friends, mentors, pastors or MOPs groups. Sometimes asking for a professional to put their eyes on the situation is just what you need! I have a deep passion for helping parents understand and connect with their children. I also love to see children learn about their feelings, make better choices and in turn feel better and be less stressed. Many times I see children who have experienced a divorce, bullying, self-harm or some form of abuse or neglect, and need help making sense of these experiences. It can stress the entire family! I have seen many types and forms of stressful events. I worked with adults and adolescents with sexual behavioral problems. I walked with children and their foster/natural families in the welfare system. I also had the honor of working through a grant from the National Child Trauma & Stress Network with youth in the community who experienced some form of trauma. Most recently I worked with adults who had a cancer diagnosis, many with other abuse backgrounds. I helped them see their hot points or triggers from past trauma, and how it is affecting them today. This empowers them to make more informed choices and live the life they want! Some people like to know what therapies I use. I use therapies like – CBT (cognitive behavioral therapy) – Play therapy – Theraplay (an attachment based approach) – ARC (Attachment, Self-Regulation and Competency) – SPARCS (Structured Psychotherapy for Adolescents Responding to Chronic Stress) – TF-CBT (Trauma Focused Cognitive Behavioral Therapy) – Strength Based Eclectic Model. If you are curious about the evidence of these approaches, there are a few research articles under the education tab on the website LifePointTherapy.com that you can check out that show specifically that TF-CBT and ARC are quite effective with youth. If you are even questioning if professional help would be helpful, I recommend calling to speak with a professional who can help you decide the next steps. In my practice, I see children ages 3-25 on most issues, as well as adult survivors of abuse, facing a cancer diagnosis, with anxiety and depression. I also work with blended families to help build connection and with couples to help with conflict resolution. Call me today if you're in distress or are trying to prevent a bad situation from happening! I do a free phone consultation, and if I’m not the right match for you, I will refer you to a place that may be!